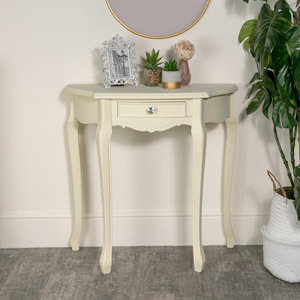 This beautiful vintage, shabby chic style cream dressing table set is from of our Elise Cream Range and is part of a full furniture set. 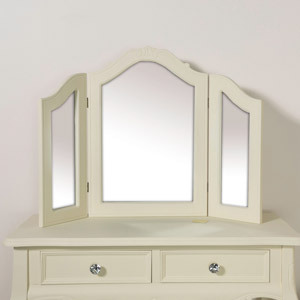 The dressing table set includes a console/make up table, a swing vanity mirror and a velvet stool. 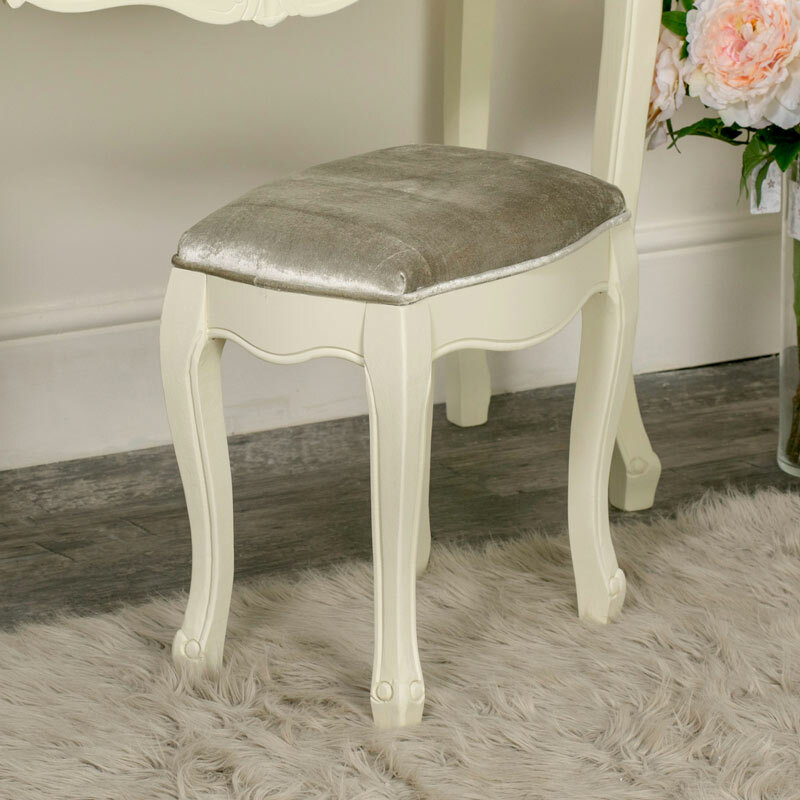 Ideal for lovers of French furniture or luxury décor. 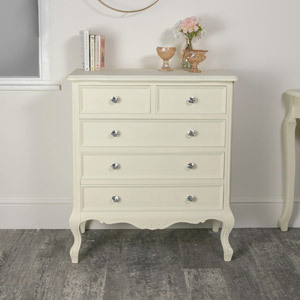 The Elise Cream Range of furniture features more furniture for creating a French themed bedroom and even includes furniture for the living room and hallway. Each pieces has vintage style detailing and glam crystal handles. 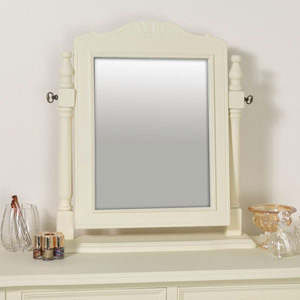 With 2 drawers on the dressing table for storing all those knick-knacks, makeup and accessories, an adjustable swing mirror for showing off all your best angles and finished with a comfortable cushioned stool for you to sit on whilst getting ready. 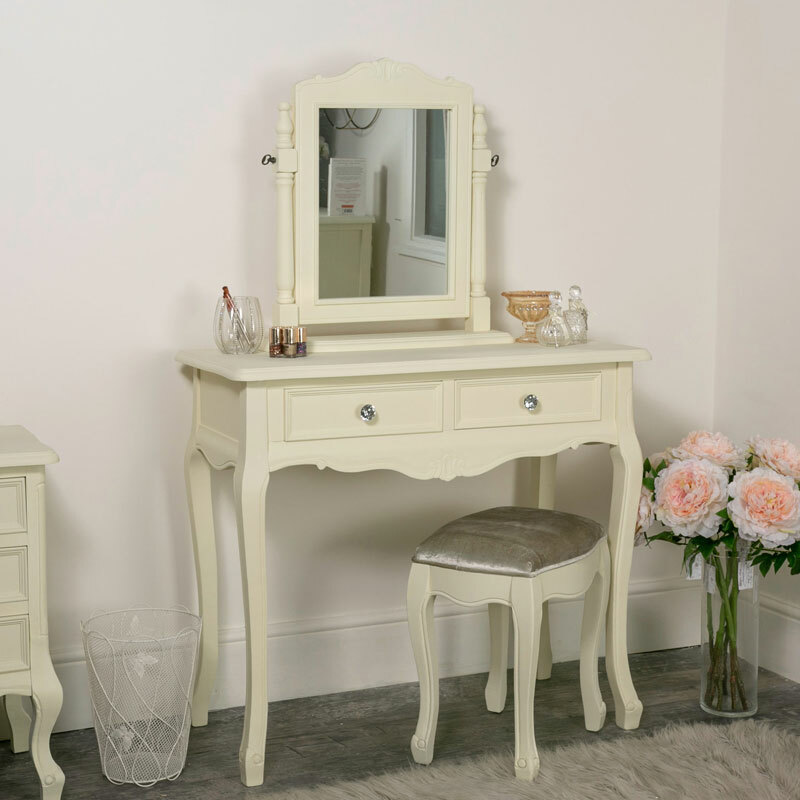 This beautiful vintage, shabby chic style cream dressing table set is from of our Elise Cream Range and is part of a full furniture set. 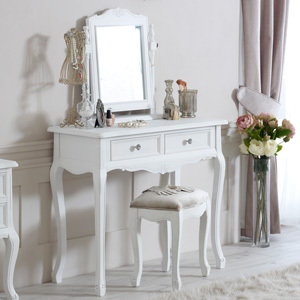 The dressing table set includes a console/make up table, a swing vanity mirror and a velvet stool. Ideal for lovers of French furniture or luxury décor. 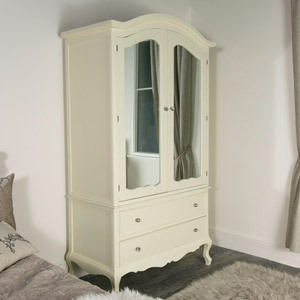 The Elise Cream Range of furniture features more furniture for creating a French themed bedroom and even includes furniture for the living room and hallway. 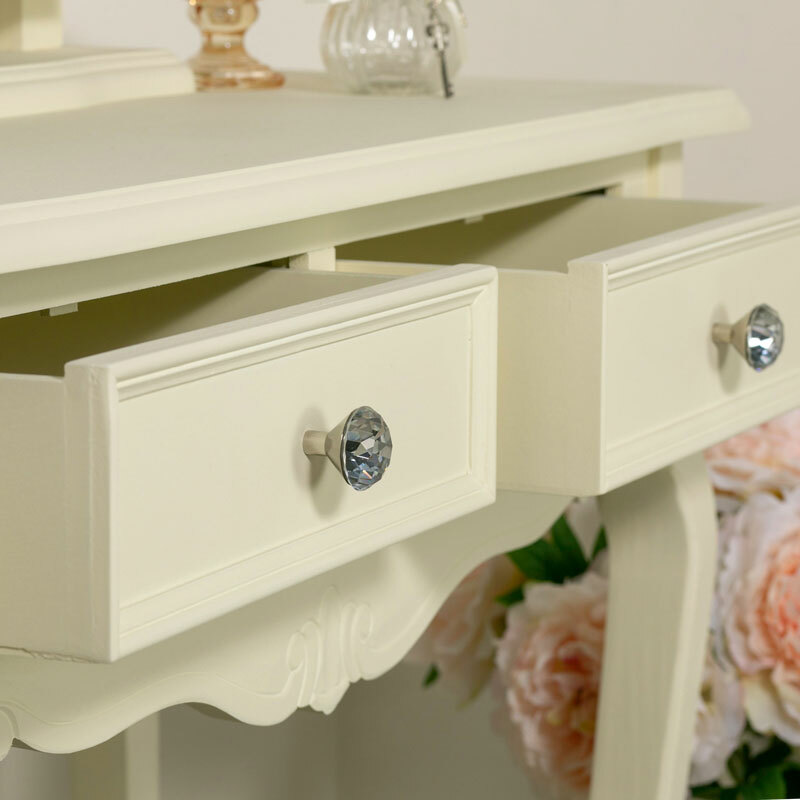 Each pieces has vintage style detailing and glam crystal handles. 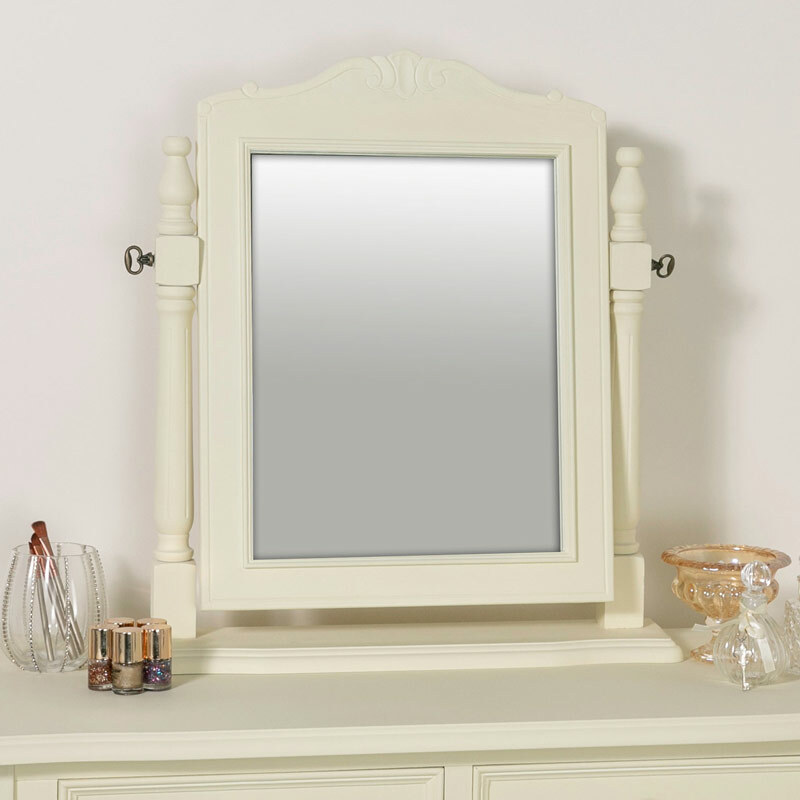 With 2 drawers on the dressing table for storing all those knick-knacks, makeup and accessories, an adjustable swing mirror for showing off all your best angles and finished with a comfortable cushioned stool for you to sit on whilst getting ready. 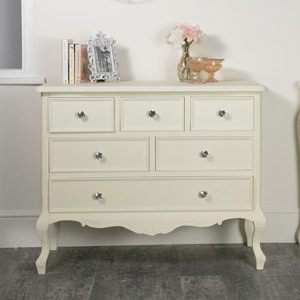 The set is constructed from wood in a cream painted finish. There is some assembly required which is quick and easy to do and all fixings provided.